Thanks to John Echoff for these Harris photos and identifications. Can you identify others? 3rd row #1 Bessie ? 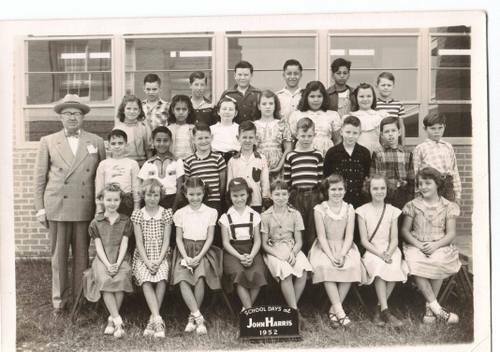 Linda Little Strickland submitted another Harris Elementary 1952 Class Photo - later in the album.